There was a time when owning and using a cell phone was an expensive proposition. Only high-powered executives or road dogs had – or could afford – to use the bulky devices. But once the basic technology of cellular wireless phone service was established, cell phone use exploded (and for our younger readers: yes, there was a time when all we had were pagers, voicemail, and land lines!). Perhaps the main reason cell phones have become such an ubiquitous and commonplace part of many people’s lives is the realization early on from the industry that it was not the phones themselves, but cell phone service, that was most important – “minutes”, to use the common advertising term. The hardware is just the conduit to the real product – a means to an end. It is in this same vein that Nat Kreamer and his partners Ed Fenster and Lynn Jurich started San Francisco-based SunRun, a solar energy company that doesn’t sell its residential customers solar panels, converters, mounts, and all the equipment required to capture energy from the sun to make electricity, but just the solar energy itself. I had an opportunity last week to discuss the SunRun concept last week with Nat, I’d guess its one of his favorite subjects. SunRun offers residential customers the means of accessing the benefits of clean solar power through a power purchase agreement similar to the type used by commercial buyers, utilities and large-scale solar power plants. Customers pay for energy delivered and not the equipment required to deliver it. The equipment is installed, monitored, maintained, and insured by SunRun. There is no lease or purchase of equipment, so the customer is spared the cost and hassle of buying and maintaing a system for which they most likely know little. Imagine if you had to maintain your local cell tower in order to use your cell phone. 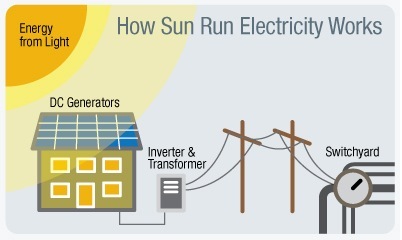 With SunRun the customer only pays for what they really need – electrons from a clean energy source. Kreamer calls it “Full System Management”, providing customers a way to lock in low energy prices and obtain a better return on their solar energy investment. The cost of grid-sourced energy is rising all over the country, and will continue to do so. By entering into a monthly service agreement with SunRun, a homeowner’s energy costs are set for at least 18 years at about 13 cents per kilowatt hour. The average cost for electricity from a utility is 30 cents per kWh – and rising. In California, residential energy costs are going up about 6.7% annually, according to Kreamer. SunRun monitors the system full-time using commercial-grade metering systems that are up to 25 times more accurate than the standard residential solar monitor, an important component that ensures the system is running optimally. SunRun is automatically alerted of any required maintenance or repair. It’s on SunRun, not the customer, to keep things running smoothly. And it’s in everyone’s interest, since SunRun guarantees the system will deliver the agreed upon amount of energy over the life of the contract. 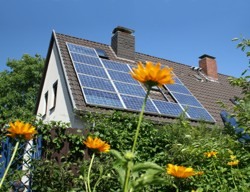 The SunRun program lets the customer determine their mix of solar vs. grid power. Called Hybrid at Home, SunRun works with their customers to determine the “sweet spot” of the most economical mix of solar and grid power. By purchasing less power from the utility, customers are charged less per unit of energy from the utility, and the rest is purchased at the low set rate of 13 cents/kWh. Through net metering and delivering excess power to the grid, customers can opt-in for 100% solar energy. With the SunRun model, customers pay about half the cost upfront of what they’d pay purchasing the same solar system outright. From then on all they pay for is the agreed fixed rate for the pre-determined kWh of electricity generated from the system. The SunRun works with customer to create the right mix hybrid mix of grid-to-solar energy, using a varied selection of panels available, for a truly custom design. SunRun guarantees the system, maintains it, repairs it, and insures it. Prepay the remainder of the agreement and add the value to the selling price of the house. Of course, no business intends on going bankrupt, but these days, that is certainly a reasonable question (though I would argue that it is just this sort of innovative business model looking make renewable energy easily available to the residential market that stands to be most successful in the future). SunRun is backed by US bank, and just completed a second round of funding for $105 million in projects. A full consumer disclosure is part of each contract. Delivery of the agreed upon amount of energy throughout the life of the contract is guaranteed and backed by SunRun’s financial backers. Always a solar power advocate, the idea for the SunRun concept came to Nat Kreamer while working for the California Department of Water Resources and in Governor Schwarzenegger’s office. Nat saw a great need for providing affordable and risk-free residential solar power, a need that was not being fulfilled. Nat realized that finding viable business models to help bring renewable energy into the mainstream was important for a variety of reasons, and after a stint with the Special Forces in Afghanistan, the point was driven home: Clean energy is vital for the future sustainability of the planet – our health, environment, national security, and future generations depend on creating a new energy economy based on clean, renewable energy. Nat and his team founded SunRun in January of 2007 with the belief that a new way of doing business can help pave the way to freedom – freedom from the “addiction to oil” and fossil fuels that even our soon-to-be ex-president has acknowledged is a problem that must be solved. Nat loves to talk about SunRun and solar energy. If you live in California (and perhaps soon in other states as well) you might consider grabbing your cell phone and giving SunRun a call to find out how it could work for you. I think every utility company in America should do this. It will help the environment, conserve energy, and take the huge costs of buying a solar power system away from the home owner. If the government would incentiveze something like this I think everyone wins. I recently built and installed solar panels on my home. 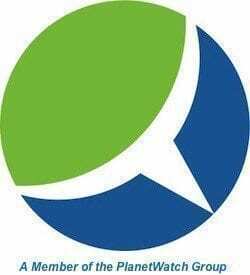 I saved a lot of money upfront and over the last two months I haved saved 50% on my electric bill. It was so much fun that I posted a blog to show everybody how to build your own solar panel. i made a magnetic arrangement a jet which is magnetised against not withas per the rotaion revolution timing as per now as little back was changed, groth the oops! opposite remote electrotromagnet in specific gravity of earth.’the remote jet.manjula mani. respected sir i device an instrument remote jet which works fast but doesnot adds fuel to the jet a msgnet environmental which per gravity that has to be chaged omce ansd operated with rotation as per revolution ,thios a remote jet.manjula mani.address-c/o ram yash singh, manjulamani,t/111/34, nml colony,golmuri,bihar,india. Wow this is a great business model. This way more people can decide to use green energy without having to pay for the solar system installation. There are so many business models in this market, it starts to get really interesting. Love the business model but actual the price quoted per kWhr is pretty high. It’s usually near that 12-14cent level.